Thank you for considering Church App Suite and our team to serve alongside your staff and church family. If you have any questions please reach out to us below. Thank you again and we are looking forward to working with you. Please click on the link below to open out PDF pricing prestitation booklet. You can download and print or view from web browser. There are no major differences between the churchScribe app or our Branded Church App option! We hope this page will help you better understand the differences and help you make the choice that fits your church! NO Apple developer account needed. All the same app features as our Branded Custom App. Q: Who is the churchScribe app best suited for? A: Great question! Any church and size. It comes down to if you DON'T want to hassle with owning and managing an Apple developer account. This may require someone on your staff to be in charge of the account. 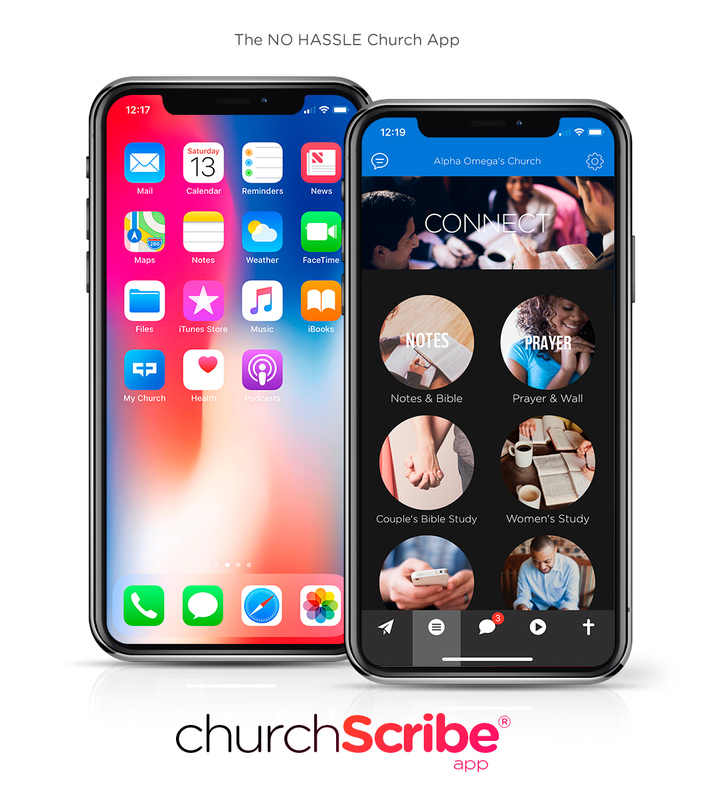 The churchScribe takes all the HASSLE out of running an app. Plus it is loaded with the same features as our Branded app option. Q: Do you think our church family will care if our app is the churchScribe app or Branded app? A: Great question! If you were to ask them that question I'm sure they would not care. They just want to better connect with their church and see what's going on very much like following you on Facebook. The churchScribe app will do far more for you then a social media platform. Q: How fast can we start promoting the churchScribe app to our church family? A: Less than a week! 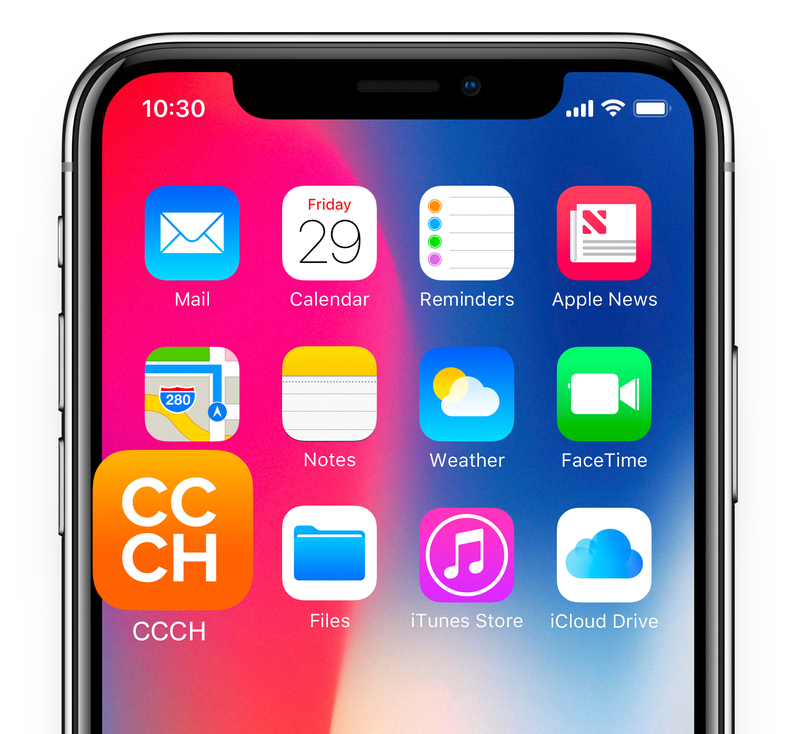 We just need your app icon to add to the churchScribe app and for you to customize your app a little and your all set to go! Q: Do we ever have to pay for any app updates, new devices, operating system updates or bug fixes? A: NOPE! This is all included as part of the churchScribe app. Q: Will we have any issues having our church family downloading the churchScribe app? A: NO not at all! If anything it will be easier to find in the app stores then a Branded app. One of the big challenges with having a Branded app on the app store is your church family being able to find your church name. Many church apps will have a very similar name to yours, which makes it hard for your church family to find your app. churchScribe is much easier to find! Q: Why does the churchScribe app receive high priority over your Branded app customers when it comes to app updates? A: Great question! The churchScribe app is one app which makes it very easy to update. Branded app customers have to wait in a line based on when they signed up to receive new updates. Q: If you were to pick! Which would you pick churchScribe or Branded? A: LOL Great question! Well because my church family really would not care if I used the churchScribe app or branded AND the churchScribe app is more streamlined, easier to find on the app stores, less monthly, very similar to following someone on Facebook which my church family is used to and the churchScribe app icon changes to my church logo I would go with churchScribe! It's just easier to manage! 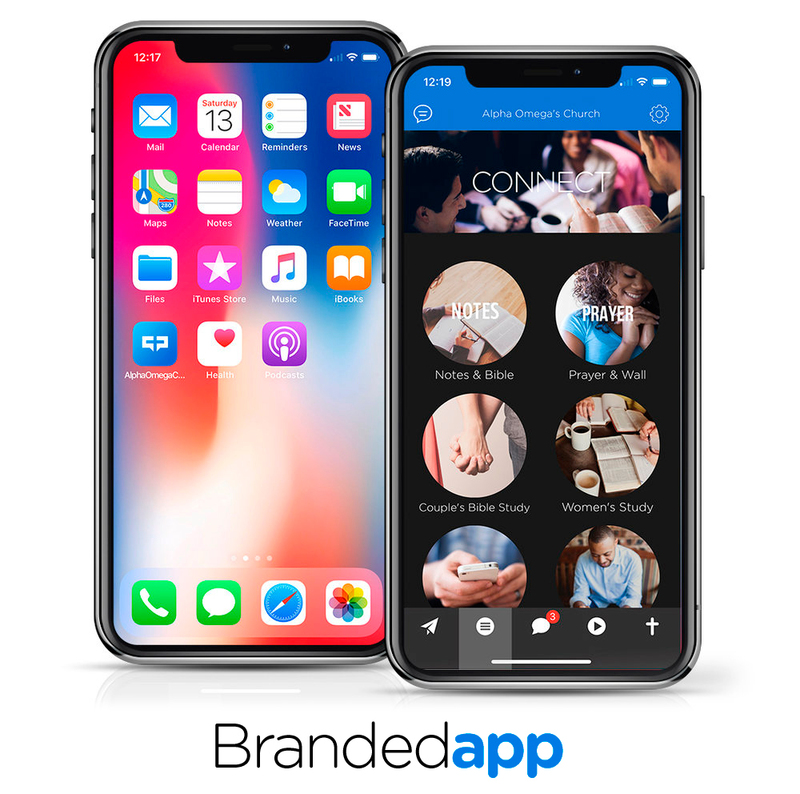 The only reason I think a branded app would be better is if you want the app store name and app to be your church name! In the big picture of things, it might not be worth the work, money, and hassle to manage a Branded app and for that very reason, we created the churchScribe app. There are NO sacrifices in quality, features or performance with the churchScribe app it just comes down to preference! $99 a year Apple developer account needed. $100 Yearly fee for updating push notification cert. Q: Does my church need to set up a Google and Amazon developer account also? A: No, We will submit your branded app to our Google and Amazon developer account. Q: Why does Apple require churches to have their developer account? A: Apple has a new 2018 requirement that the church that is creating the content for the app owns the developer account. Q: How hard is it to create an Apple developer account? A: Well, it's not the easiest thing to do. But there are many YouTube videos to show you how. It's more about having the time and most likely someone on staff to manage this developer account. We can also help if you get stuck. Q: What happens after we create our Apple developer account? A: You will need to invite us to your Apple developer account so we can submit your Branded app and submit updated during the year. Q: What is considered app store updates? A: New phones and tablets coming out each year, bug fixes, add app features and also new operating systems updates for Apple, Google and Amazon. Q: Will I be notified if our app needs an app update? A: Yes, you will be notified and have the option to update your app if you want. Q: Why does the Branded app option take longer to go live then the churchScribe app? Q: Why does the Branded app option cost more than the churchScribe app? A: Great question! There is simply more labor involved with managing a Branded app. Q: Can I add your web apps (Bulletin, calendar, registration, forms and notes), sermon player to the Branded app? A: Yes, you can add all the same app features and ability's ( web apps and sermon player ) to both the churchScribe and Branded app options. Q: What's the standard number of app updates a year? A: Great Question! Usually Apple and Google have one major software update a year. Around that same time you will see new phones coming out also. Our platform is very strong and you should see maybe one to two bug fix or added features updates per year. So the answer would be 2-3 app updates a year to Apple, Google and Amazon. Got more questions? We would love to talk!